How Much Does the 2017 Honda Pilot Cost? How Many MPG Does the 2017 Honda Pilot Get? What’s New for the 2017 Honda Pilot? Last year’s entirely new Honda Pilot was such a success that it needed only a few changes for the 2017 model year. The biggest news is that Honda made Apple CarPlay and Android Auto standard on higher level trims, starting with the EX. With Siri obediently by your side, Apple CarPlay connecting you and your iPhone, you can recall voicemail, access playlists, receive turn-by-turn directions, read/send text messages, and make phone calls. If your smartphone is an Android, relax — you can use Android Auto to perform the same tasks via Google. Interior colors take on a new, exciting option in 2017 with the introduction of the Black Interior, which you can get if you select White Diamond Pearl for your exterior color. 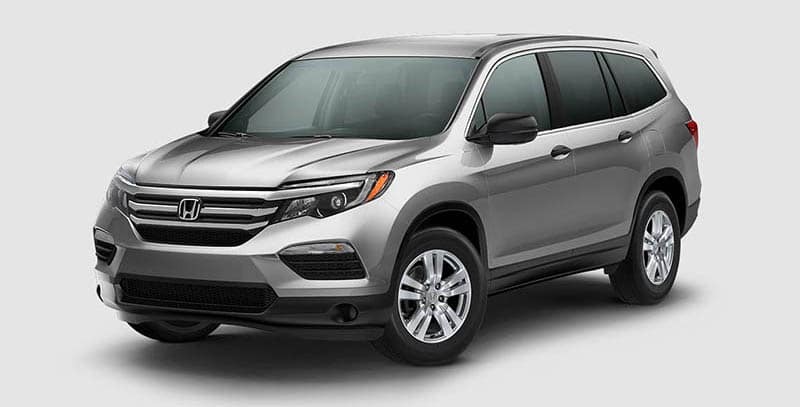 All the Honda Pilot’s great interior features carry over from the previous year, with items such as an available Rear Entertainment System and an eight-inch Display Audio Touch-Screen. Access to the third row is a snap, thanks to the One-Touch second-row seats that you can shuttle forward by simply touching a button. For a touch of luxurious comfort that your passengers will appreciate, order the plush second-row captain’s chairs. The spacious cargo area lets you stow plenty of gear without compromising passenger comfort. Our Honda dealership looks forward to your visit and test drive of the superb 2017 Pilot. You’ll appreciate the priority we place on your satisfaction, so drop by today! ** 19 city/ 27 highway/ 22 combined mpg rating for 2WD 6-speed automatic. 18 city/ 26 highway/ 21 combined mpg rating for AWD 6-speed automatic. 20 city/ 27 highway/ 23 combined mpg rating for 2WD 9-speed automatic. 19 city/ 26 highway/ 22 combined mpg rating for AWD 9-speed automatic. Based on 2017 EPA mileage ratings. Use for comparison purposes only. Your mileage will vary depending on how you drive and maintain your vehicle, driving conditions and other factors. Features available in various trim levels.